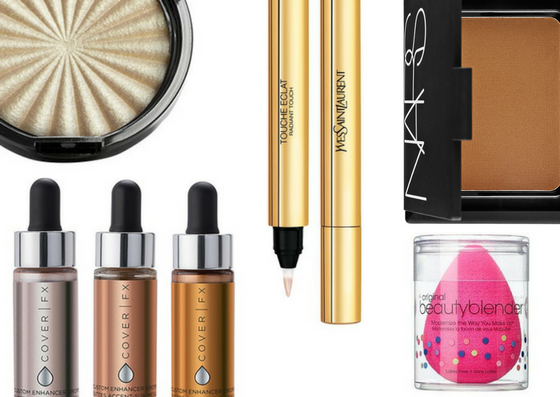 7 Products That Beauty Gurus Made Me Buy! I'm pretty sure it was Lily Pebbles who I first saw use a beautyblender. I will always take Lily's word as gospel, so of course I bought it if she loved it! I can safely say it is my holy grail and I cannot do my makeup without it. No other sponge can beat it - I'm on my third! This foundation mix is the best foundation I've ever used, and it's all thanks to Holly Boon! Her skin always looks absolutely flawless, so I will take any recommendation she has. I have never really like drugstore foundations but I am obsessed with these two! Together they are so long lasting and I wear them every single day. Ruth Crilly knows her luxury makeup, so when I saw her recommend this I knew I had to have it. I do love it, and think it's really great for hydrating and brightening, but it's a bit too natural for me! I wear a lot of makeup so I like to use an undereye concealer that is more high coverage, like the NARS Radiant Creamy Concealer. I saw Michael Finch use this powder to bake many many times on YouTube so I know I really wanted to try it because I love baking before a night out! Just before I bought it, I saw Michael say that he found the 'No-Colour' version a bit too white, and that he wanted to try the translucent one - so that's the one I bought! It's affordable, and so so good, so it's definitely my go-to baking powder. So this was the fault of both Tanya Burr and Millie Mackintosh when I watch this YouTube video six years ago! Tanya used it on Millie, and they both agreed it was one of their favourite bronzers. I thought it was such a gorgeous olivey shade, so I had to buy it! I still think there's no bronzer quite like it, and it's definitely still one of the best! This product it definitely the best liquid highlighter I've ever used! It is so creamy, so pigmented, it's amazing! I first saw Tati rave about this on her channel, and everyone knows she is the absolute expert so you have to buy her recommendations. I've had it for ages and I've still barely used any! Obviously I saw these on NikkieTutorial's channel, she is the ultimate queen of highlighters! I have the shade 'Rodeo Drive' and I absolutely love it, it is truly blinding! The only thing that annoys me is because they are so soft and creamy for a powder, they do not travel well at all and they break very very easily. Apart from that, they are pretty affordable and I've not used another highlighter since! Have you ever been swayed to buy something by an influencer? Was it worth it or was it a fail! ?